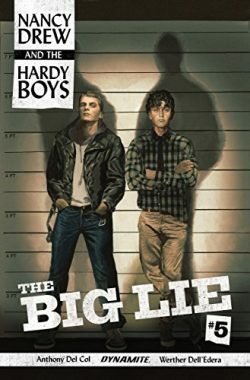 When the teenage brothers Frank and Joe Hardy are accused of the murder of their father - a detective in the small resort town of Bayport - they must team up with the femme fatale Nancy Drew to prove their innocence (and find the real guilty party in the process) in a twisting, hard-boiled tale, complete with double-crosses, deceit and dames. 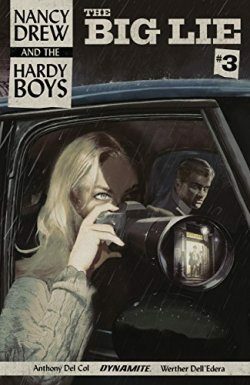 Nancy Drew has a killer plan. 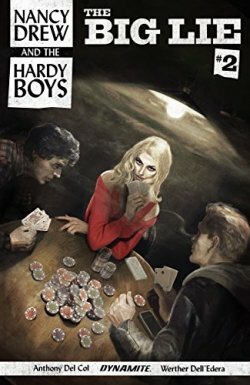 In order to clear their names from accusations of their father's murder, she and the Hardy Boys will have to infiltrate a family of petty thieves -- by beating at their own (card) games! 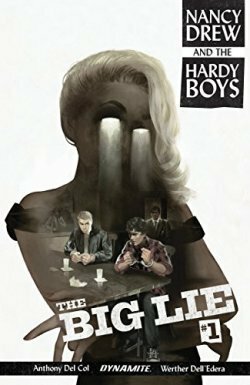 The classic characters dive deeper into the seedy underbelly of a tourist-town -- and they begin to find out if they're really able to go bad in order to do good. Does blood run thicker than water? 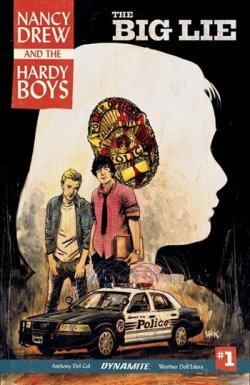 In this thrilling climax of the hugely acclaimed first arc, the murderer of Fenton Hardy is revealed. 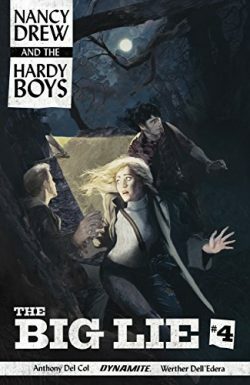 but do Nancy Drew and the Hardy brothers believe it? 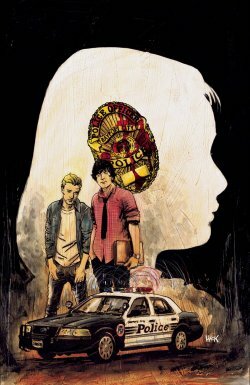 In order to find out where the truth actually may lie they must return to a place from their pasts and risk their lives. 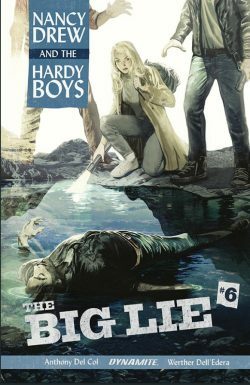 A Nancy Drew and Hardy Boys mystery unlike any other you've ever read! 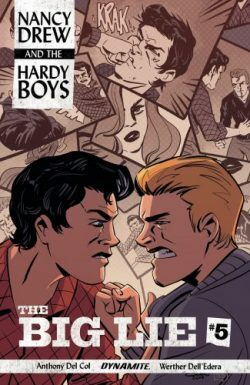 When the teenage brothers Frank and Joe Hardy are accused of the murder of their father - a detective in the small resort town of Bayport - they must team up with Nancy Drew to prove their innocence (and find the real guilty party in the process) in a twisting noir tale, complete with double-crosses, deceit, and dames. 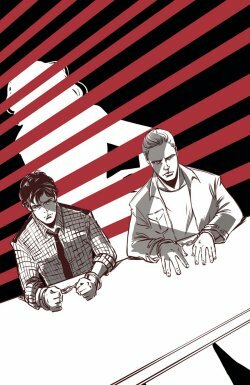 Writer Anthony Del Col (Assassin's Creed, Kill Shakespeare) and artist Werther Dell'Edera (Batman: Detective Comics, House of Mystery) bring the iconic teen detectives into the modern age, and redefine noir for a new generation of readers!